Annual house price growth edged up in March, but is down on a monthly basis, according to the latest House Price Index from Halifax. Annual house price growth stood at an average of 3.2% in March, taking the typical property value in the UK to £233,181. While house price growth also rose on a quarterly basis (1.6%), the average property value fell by 1.6% month-on-month. Halifax also looks at housing activity across the UK market, using the latest industry figures. UK home sales remained steady in February, with 101,780 transactions, which, as for January, was very close to the five-year average of 101,135. When comparing sales in December-February against September-November, there was a 0.4% drop. Home sales in February were 2.8% higher than the previous 12-month average. In February, mortgage approvals fell compared to January. Bank of England figures show that the number of mortgages approved to finance home purchases – a leading indicator of completed property sales – dropped by 3.5%, to 64,337. This compares to an increase of 3.6% in the previous month. As a result, the mortgage approval figure is back to being very close to that recorded in December. The February rate is 1,892 lower than the five-year monthly average of 66,229, and is down by 740 on the previous 12-month average. The UK Residential Market Survey from the Royal Institution of Chartered Surveyors (RICS) again showed a decline on almost every measure reviewed. The average stock per surveyor is now 41.7 – its lowest ever level. New enquiries, instructions and sales all fell again in the month. Price and sales expectations showed a small improvement compared to January, but both expectations remain firmly negative. Russell Galley, the Managing Director of Halifax, says: “The average UK house price is now £233,181, following a 1.6% monthly fall in March. This reduction partly corrects the significant growth seen last month and, again, demonstrates the risk in focusing too heavily on short-term, volatile measures. 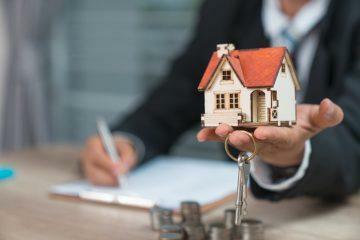 Industry-wide figures show that the number of mortgages being approved remains around 40% below pre-financial crisis levels, and we know that lower levels of activity can lead to bigger price movements. “The more stable measure of annual house price growth rose slightly to 3.2% and is still within our expectation for the year. The need to build up a deposit before getting a mortgage is still a challenge for many looking to buy a property. However, the combined effect of fewer houses for sale and fewer people looking to buy continues to support prices in the long-term. Conor Murphy, the CEO of mortgage software provider Smartr365, responds to the report: “Continued price growth indicates a resilient housing market, despite uncertainty around Brexit. Depending on if, and when, there is greater clarity, transaction volumes will likely increase as we move into spring. “It’s essential that advisers have the tools in place to deal with a seasonal increase. Using end-to-end platforms is one solution. By reducing admin processes, this frees up time for advisers to focus on what matters most – providing advice and generating new business. 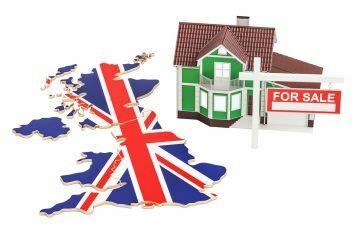 Lucy Pendleton, the Founder Director of independent estate agent James Pendleton, also reacts: “The UK housing market is proving as unpredictable at the moment as the daily Brexit negotiation updates. “Last month’s figures totally blindsided all commentators, and even stoked a little controversy with concerns aired over the credibility of the index. “It’s no surprise to see prices fall back this month, as low stock levels and general buyer malaise plagues the market. “The annual figures are a more reliable indicator of market conditions, with much of the growth in house prices figures outside London. There are few signs of improvement in the number of transactions across the capital.